Why is nobody posting anything to cold-hardy citrus forum? 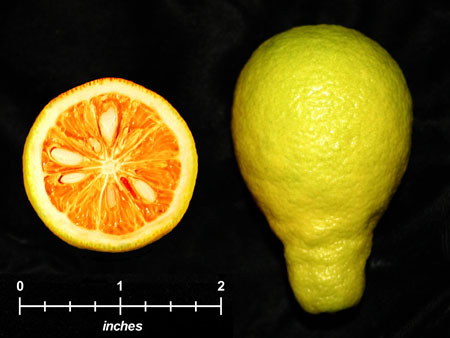 Did everybody's citrus die out the past two winters? Well Citradia, Cold Hardy Citrus tend to go dormant, and grow a lot slower than their tropical or sub tropical counterparts. It's not very eventful to post "My citrangequat got 3 more leaves!" I think it will pick up in summer time. As for me, My citrangequat got 3 more leaves! LOL. Also my baby Taiwanica came back, as did my "improved" citrangequat. Well Manfromyard, I'm glad your citrus survived and has started to grow. My post was coming from a place of general concern, not criticism. I've enjoyed reading about others' experiences with their cold-hardy citrus, and with the past two cold winters, I was hoping to here from others saying their citrus survived, etc. thanks for your response. I've not heard of "improved " citrangquat; does it have nicer fruit or better cold hardiness than Thomasville? My Thomasville died down to one foot from ground but is growing well now. My Thomasville from last month; I'll take current pic and post later. I call it "improved", As far as I know, it's unnamed, and has larger fruit than the thomasville. I first heard of it here.. He calls it a 10 &3/4 Citrangequat, and states "It produces an 85-gram fruit and yields more juice than a Thomasville citrangequat. The juice is pleasant and is unburdened by detectable bitter skunkiness of many Poncirus hybrids." The New Varieties Development & Management Corporation has scheduled Florida statewide grower meetings to launch FAST TRACK’s third suite of University of Florida/IFAS experimental citrus selections. This new suite features four seedless easy-peel mandarin selections with the names: UFGlow, UFSunrise, UFDawn and 7-6-27. Millet - Note Variety 7-6-27 is cold tolerant and has a higher tolerance to Citrus greening. Maybe attention can be done on breeding for more cold resistance, so the citrus belt can move into areas where the vector pest for citrus greening is unable to survive the winter. My Thomasville today. I know it's not impressive but at least it didn't die down to the roots this winter with zero degrees over night like the winter before.